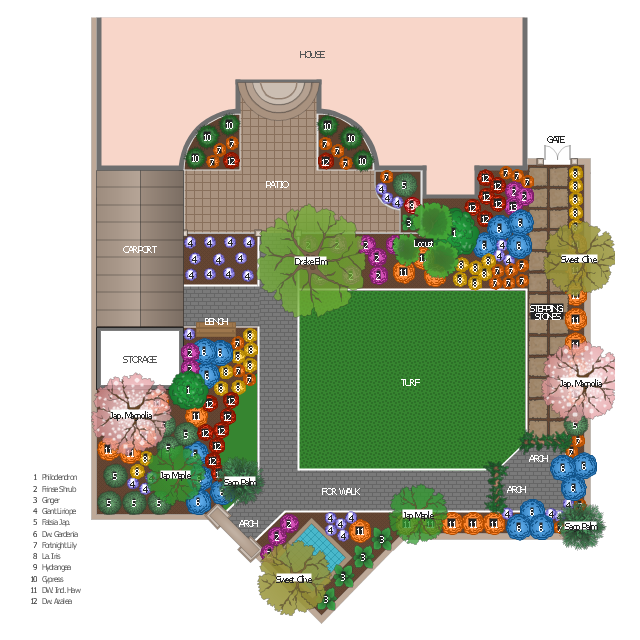 This house site plan sample illustrates the landscape and garden design. 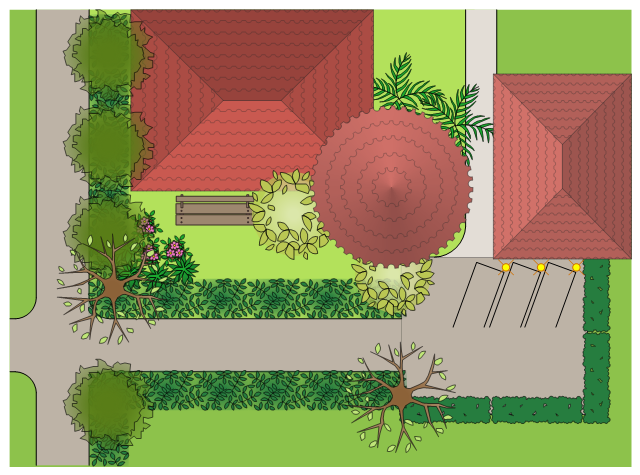 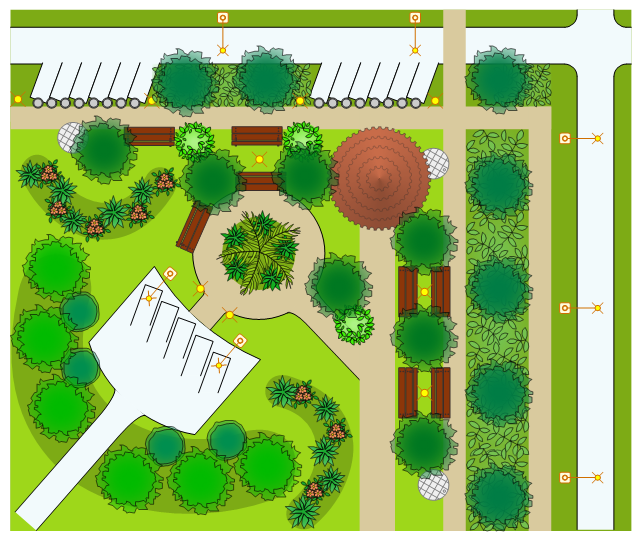 This garden design example shows layout plan of trees, bushes, flowers, grass, paths, round fountain, patio, garden furniture, boundary wall with gate, and house. 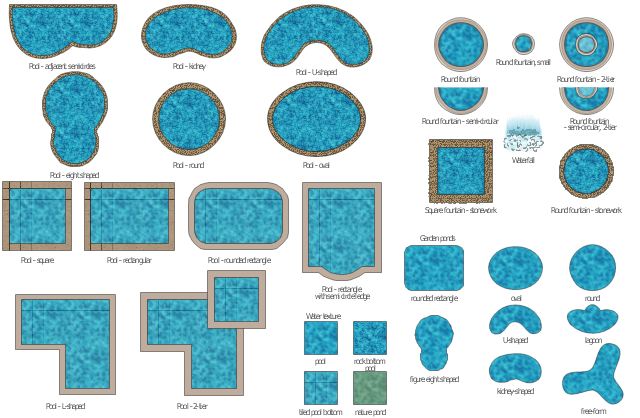 The vector stencils library "Ponds and Fountains" contains 32 clipart images of fontains, waterfall, pools and water textures. 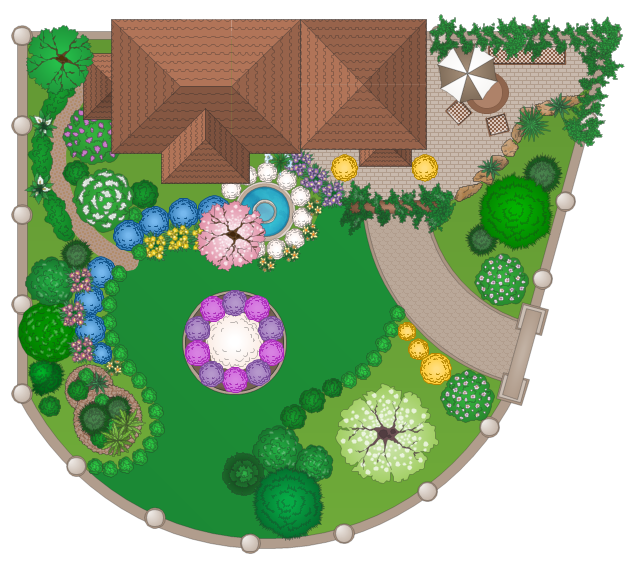 Use it to create your landscape design and garden plans. 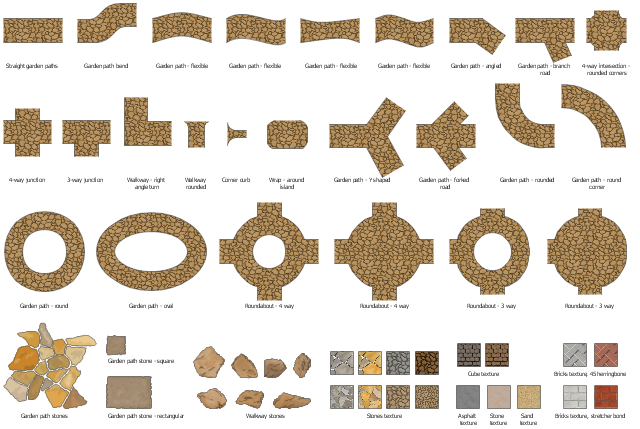 The vector stencils library "Plots and fences" contains 27 plot and fence shapes.